No car owner wants to turn the key only to hear silence, but that’s exactly what can happen when the car battery dies. You can stay one step ahead of this situation, however, by knowing the signs of trouble. By keeping an eye and ear out for these red flags, you’ll be able to get the battery replaced before it sidelines your transportation. Although there are several different problems that can cause a bad smell in your car, car battery gas produces a fairly telltale scent. If you get a whiff of rotten eggs when you open your car hood, the battery might be leaking. It could mean the part is on its last legs, so schedule an inspection as soon as possible. A corroding battery will result in voltage problems that will affect how easily your car starts. Ashy, white material on the metal areas of the battery are clear signs of a corrosion issue and a replacement is likely needed soon. As a car battery ages, it becomes less and less effective at creating the electric charge necessary to start the vehicle. If you notice the engine turning over and over again before finally coming to life, your battery is likely almost completely dead. Whether freezing or sweltering, extreme temperatures can do a number on a car battery’s case. It can crack because of the compression or swelling and leak or cause issues with its electrical connections. If you suspect battery issues, take a look at the case to see if it’s misshapen in any way. If your radio is constantly flicking on and off or if the internal car lights are randomly dimming, the car battery is the main culprit. Its ability to power these components decreases if it’s defective or older. 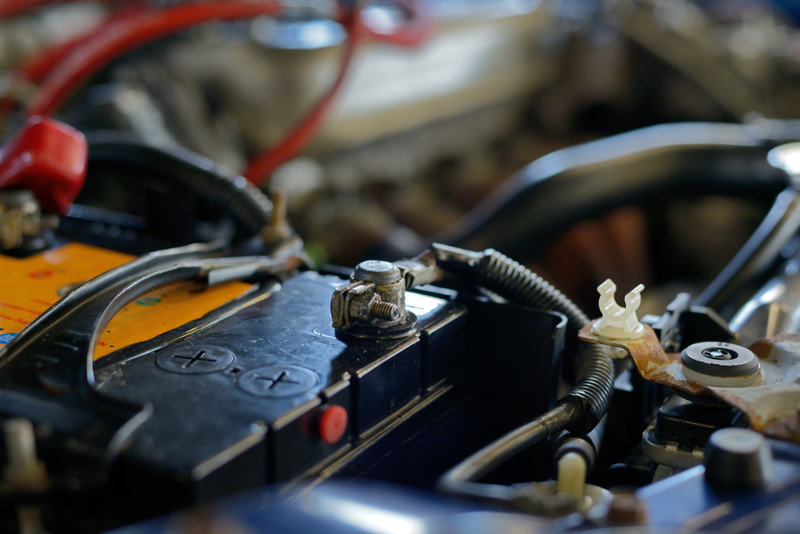 If you’re experiencing car battery problems, the auto repair experts at Kalispell Alignment & Auto Repair in Kalispell, MT, will get your vehicle back up and properly powered again. Using cutting-edge diagnostic technology, the shop’s experienced and ASE-certified technicians will quickly identify the issue and provide the necessary repair or replacement. And with a NAPA 24-month, 24,000 warranty on all parts and service, you can drive away with confidence and security. Visit the website for more information on the repair services available or call (406) 755-0234 to speak with a representative today.